Stardate: the 23rd Century: Retired Starfleet officers James T. Kirk (William Shatner), Montgomery Scott (James Doohan) and Pavel Chekov (Walter Koenig) are guests of honor aboard the newly christened Enterprise-B. A test run takes an unexpected turn, however, when the starship encounters two vessels trapped inside the Nexus, a mysterious energy ribbon. During a perilous rescue attempt, Kirk is swept out into space. Seven decades later, Captain Jean-Luc Picard (Patrick Stewart) and the crew of Enterprise-D rescue an El Aurain physicist named Soran (Malcolm McDowell). Unbeknownst to Picard, Soran harbors a deadly plan that includes the destruction of the Enterprise and millions of lives. Now Picard's only hope for a future rests within the Nexus ... and a legendary captain from the past. The first cinematic adventure with the crew of Star Trek: The Next Generation, 1994’s Generations stood as an important step in the evolution of Trek. While films that featured the crew from the original series generally did well, would anyone want to see the Next Generation gang on the big screen? At least the original series’ group had been off the air more than a decade when they made their first film. 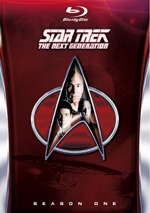 On the other hand, the final season of Next Generation ended only about half a year before Generations debuted. Financially, Generations did pretty well, and its success allowed the crew from Next Generation to make three more big screen adventures. However, fans seem to maintain a general dislike for Generations, and they continue to whip it. Much of this outrage may relate to the film's treatment of one of its characters. I don't want to ruin it for anyone who hasn't seen the picture, but one of the stars doesn't make it to the end, and this didn't exactly make people happy. To be honest, that's the best reason I can conjure as to why Generations inspires such hearty disapproval, because I find it to be a pretty terrific movie. Some critics took issue with some inconsistent behavior on the part of the characters; they indicate that not all of the participants act in a manner typical for their characters. I don’t see that. I watched all seven seasons of Next Generation within nine months of my most recent screening of Generations, and I thought the characters maintained internal consistency during the feature film. Perhaps I’m just not well acquainted enough with their nuances, but I didn’t detect any uncharacteristic behavior. Another perceived problem - and a more valid one – also affects pretty much every movie that features time travel or a similar concept. Almost inevitably, some oddities will occur and consistency will falter, and Generations is no exception to this rule. To be frank, it's a pretty big example of this rule, all due to the magical presence of "the Nexus," some sort of funky light-ribbon that allows those people inside it to experience their happiest dreams. Old Nexy's a pretty free-spirited ribbon, and he maintains a casual attitude about what folks can or can't do; it looks like anything goes, and Captain Picard (Patrick Stewart) takes advantage of this. It doesn't make a whole lot of sense and will not stand up to scrutiny, but it furthers the plot and creates a more interesting story, so I accept it. Yes, that's a weak defense, but given the inherent faults possessed by time travel stories, it's good enough for me. Despite these concerns, I think Generations kicked off the new series of films with a serious bang. It offers pretty much everything I'd want from a Trek movie: some good action, a compelling plot, and a bit of humor and emotion along the way. Actually, I always found this film to provide one of the more thought-provoking stories of the bunch as it explores the price the Enterprise crew pays for being so devoted to their jobs. Picard seems haunted by his lack of family and through the Nexus, he gets to experience what his ideal home life could have been like. These scenes appear really quite touching as Picard sees what he could have had - in an idealized Nexus way, of course. Ultimately, I continue to find Star Trek: Generations to be a very entertaining, exciting and thought-provoking film. Clearly it's not everyone's cup of tea, and its treatment of its characters seems to be a major bone of contention with many fans. Despite that issue and some consistency problems, it works very well as a film and makes for a movie that I believe to be one of the more satisfying of the series. Star Trek: Generations appears in an aspect ratio of 2.35:1 on this Blu-ray Disc. Though the transfer had some minor issues, it usually was positive. Overall, sharpness looked solid. A little softness interfered with a few wide shots, but those instances were infrequent and minor. The majority of the movie exhibited nice clarity and definition. I noticed no issues with jagged edges or shimmering, but a smidgen of edge enhancement appeared, and some digital noise reduction made complexions look a tad off at times. Source flaws weren’t significant, but occasional specks and marks did appear. Colors consistently pleased. The tones were consistently lively and distinctive, as they were nicely vivid and vibrant. Black levels came across as deep and tight, and shadow detail was tight and concise. Due to the source flaws and a few other issues, I debated whether or not the transfer should get a “B” or a “B+”. I went with the higher grade because so much of the film looked splendid; the many excellent segments helped me to forgive the minor sins. The Dolby Digital TrueHD 5.1 soundfield offered the vivid and involving experience I expected. Within the forward channels, the elements moved smoothly across the front and blended together well. The mix showed a good sense of environment and also kicked to life nicely during the action sequences. The surrounds added a fine sense of dimensionality to the package, and they also featured solid individual material during the action pieces. Split-surround usage seemed especially compelling during the Klingon battle. Audio quality also appeared fine. Speech seemed natural and distinct, and I noticed no issues related to intelligibility of edginess. Music presented good fidelity and range and presented bright and vivid tones. A few effects elements sounded a little distorted, and that part of the track came across as a little “hot” at times. However, the effects generally seemed clear and accurate, and they demonstrated tight and rich bass for the most part. In the end, the audio of Generations earned a solid “B+”. How did the picture and sound quality of this Blu-ray Disc compare with those of the prior SE DVD release? The lossless audio had a little more kick but didn’t blow the old track out of the water. On the other hand, the Blu-ray offered substantial visual improvements. Both prior Generations DVDs had significant problems. While the Blu-ray didn’t eliminate all of those issues, it offered by far the most satisfying visual presentation of the film I’ve seen since it was on the big screen. In terms of extras, the Blu-ray mixes elements from the prior SE DVD with new components. If a feature comes with an asterisk, that means it’s new and didn’t appear on the SE. If an extra is written in blue, that indicates it’s both a new piece and it’s also exclusive to the Blu-ray Disc. We begin with two separate audio commentaries. The first comes from writers Brannon Braga and Ronald D. Moore, both of whom sit together for their running, screen-specific chat. 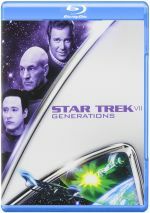 I was surprised not to hear from director David Carson, as this makes Generations the first Trek special edition DVD not to include the director a director’s commentary. However, I really didn’t care since the quality of the writers’ discussion was so good. Both Braga and Moore have been with Trek in various incarnations for quite some time, so they provide their perspective on a variety of relevant issues. They talk about the particular challenges of Generations and its creation, and we hear about abandoned concepts and various concerns. We find out about the way they go about concocting scripts and stories and learn funny details like they use of technobabble at times. While they praise elements of Generations, they display a surprising willingness to criticize the movie. They pick out many parts that they don’t like and give us a rather candid look at the whole process, all with a wry humor that makes the piece enjoyable. It’s a pretty terrific audio commentary. For the second commentary, we hear from director David Carson and Enterprise writer Manny Coto. Both sit together for this running, screen-specific chat about the film’s opening, cast and crew, sets and locations, shooting on a ship, effects, and other challenges related to the flick. Coto essentially acts as fan/interviewer here, so Carson does most of the work. Which is appropriate, since Coto didn’t have anything to do with the creation of Generations. He prompts Carson well and keeps the track moving at a good pace. We get a fair number of nice details from the director in this informative commentary. It’s not as engrossing as the first track, but it’s definitely worthwhile. Another running feature arrives with the Library Computer. This “interactive playback mode” allows you to learn about various elements that crop up throughout the movie. It gives us notes about characters, technical pieces, and other connected tidbits. Some of these are tightly ingrained – such as facts about main characters – while others are more tangential. Because of the changing circumstances of the film’s world, some of the same subjects arise multiple times; for instance, new information about Soran comes up as story elements affect him. All of these come via links; the title of a subject appears, and you select “enter” to read about it. You can examine these in two different ways. If desired, you can have the links crop up at the appropriate times during the movie. You still have to hit “enter” – there’s no option to let them play without viewer input – but this shows the notes in tandem with the onscreen material. The “Library” also presents an “index”. This posts the links in alphabetical order. This is a more efficient option if you want to watch the movie without interruption, but it’s less connected to the story. Either way, the “Library” includes some nice details. It’s pretty dry, but it throws out a lot of background facts and gives us a satisfying glimpse of Trek information. Within “The The Star Trek Universe”, nine featurettes appear. A Tribute to Matt Jefferies lasts 19 minutes, 37 seconds as it looks at the career of the late art director for the Original Series. We see some of his work and hear from scenic art supervisor Mike Okuda, illustrator John Eaves, production designer Herman Zimmerman, brother John Jefferies, scenic artist Doug Drexler, and Jefferies himself. The program mostly focuses on Jefferies’ designs for the Enterprise, but we learn a few other facts as well as the impact of his work in this fascinating program. It seems oddly placed here, as it’d make more sense in the Original Series set, but I really like it anyway. During The Enterprise Lineage, we get a 12-minute and 48-second glimpse of ship-related history. It presents comments from Eaves, Matt Jefferies, Okuda, Zimmerman, Leonard Nimoy, and William Shatner. We learn about historical uses of the name Enterprise and some elements of various Trek crafts. Probably the best parts come from the notes about the space shuttle Enterprise and the visit the Original Series cast and crew made for its launch. The featurette doesn’t delve deeply into its subjects, but it provides some useful notes. Captain Picard’s Family Album runs seven minutes and five seconds as art coordinator Penny Juday leads us through the prop from Generations. She guides us on a tour of the family album itself. This allows us a closer look at the elements and she also tells us how they assembled the parts. It’s a cool look at the details. “Universe” continues with Creating 24th Century Weapons, a 13-minute and 47-second piece. It includes comments from official Klingon armorer Gil Hibben as he discusses his history as a knife maker as well as his work for Trek and other things. Like “Album”, it’s a nice look at some details. During the five-minute and four-second Next Generation Designer Flashback: Andrew Probert, we hear from illustrator Probert. He discusses how he came to work on Trek as well as aspects of his input over the years. Though short, the piece offers some interesting notes. For Stellar Cartography on Earth, we get a seven-minute and 39-second program. It features astronomers Dr. Amy Mainzer, Dr. Michael Werner, Scott Cardell and Dr. Charles Beichman as they tell us about issues related to mapping stars. They give us a decent synopsis of the subject. We learn more about a main actor in Brent Spiner: Data and Beyond Part 1. It goes for 10 minutes, 20 seconds and provides thoughts from the actor about his life and career, with an obvious emphasis on TNG. Spiner is an enjoyable interview subject, so he makes this piece entertaining. Trek Roundtable: Generations fills 12 minutes, 23 seconds with remarks from writer Larry Nemecek, Trekmovie.com’s Anthony Pascale, Planetary Association associate director Charlene Anderson, and Geek Monthly editor Jeff Bond. They reflect on the movie in a variety of ways. I hoped this would be a reasonably “no holds barred” discussion; though I like it, I know many fans hate Generations, so it’d be interesting to hear some of that venom. We get none of it, and the comments remain rather general and without much insight. “Universe” concludes with Starfleet Academy SciSec Brief 007: Trilithium. In this three-minute and six-second piece, we learn a little about the movie’s compound called trilithium. The “Academy” is a continuation of a series found across the six discs for the original movies, and it’s a moderately useful piece. Some of them do little more than repeat info from the films, but this one proves to be a little more detailed. When we head to Scene Deconstruction, we can more closely examine three film segments. We look at “Main Title” (three minutes, 32 seconds), “The Nexus Ribbon” (7:07) and “Saucer Crash Sequence” (4:49). For “Title”, we get commentary from Trek series visual effects supervisor Dan Curry, whereas “Nexus” presents ILM visual effects co-supervisor Alex Seiden and “Saucer” gives us visual effects camera operator Patrick Sweeney. They relate the various issues connected to design and execution of the sequences, and we also see a mix of movie clips, storyboards, and rough footage. None of them shine, but they provide a nice basic look at some effects work. “Saucer” is probably the best, as it offers the strongest true breakdown of the various elements as we see the shot come together. More information of this sort appears in the two components of the “Visual Effects” domain. Inside ILM: Models and Miniatures fills nine minutes and 38 seconds with comments from Sweeney, model supervisor John Goodson, and model maker Howie Weed. They show us close-ups of the Enterprise model and discuss methods use to make it look its best, especially with the extra detail available for a feature film. Nothing revelatory occurs here in this basic overview, but it’s fun to get a closer look at the Enterprise-D model. A self-explanatory title greets us with Crashing the Enterprise. It takes 10 minutes and 44 seconds to focus on the saucer crash sequence. This one concentrates on the physical model shoot, not the CG parts detailed earlier. We find remarks from ILM visual effects supervisor John Knoll and visual effects art director Bill George as we watch them film the crash of the large saucer miniature. One of the disc’s most interesting components, this one shows all the challenges of the shoot and lets us get a fun feel for how they executed it. Inside the “Archives” we get two separate components. The Production Gallery presents 40 stills. Most of these come from the shoot, and we see some publicity shots as well in this fairly bland collection. Storyboards presents art for three domains: “Enterprise B” (five stills), “Worf’s Promotion” (40), and “Two Captains” (34). These accumulate a decent little collection of art. The “Production” domain presents four elements. Uniting Two Legends goes for 25 minutes, 38 seconds and looks at general parts of Generations. 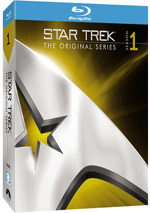 We see movie clips, shots from the set and the premiere, and get comments from executive producer Rick Berman, director David Carson, and actors Jonathan Frakes, Marina Sirtis, Brent Spiner, Gates McFadden, DeForest Kelley, William Shatner, Patrick Stewart, LeVar Burton, Michael Dorn, James Doohan, and Walter Koenig. Shatner discusses feeling like a guest on Trek, and others talk about the increased scope of the movie compared to the series, concepts behind the flick, passing the torch from one generation to the next, and story and character elements. It’s a mediocre program. Some good tidbits appear, such as Shatner’s feelings when confronted with an alien Trek experience, Dorn’s fight over Worf’s dunking, and Sirtis’ wisecracks about finally getting to pilot the ship. However, a lot of filler appears as well, so while the show merits a look, it’s not a great program. For another effects-oriented piece, we find Stellar Cartography: Creating the Illusion. The nine-minute and 23-second featurette examines the creation of that particular scene via film snippets, shots from the set, and interviews with Patrick Stewart, Herman Zimmerman, and director of photography John A. Alonzo. They chat about the scene itself, the design of the room, and its execution. This presents a reasonably concise and informative examination of the topic. Finally, Strange New Worlds: The Valley of Fire fills 22 minutes and 41 seconds as it shows the cast and crew on location for the film’s climax. We see shots from that desert spot and hear from Stewart, Shatner, Malcolm McDowell, Zimmerman, Berman, Carson, stunt coordinator Bud Davis, Alonzo, and stuntmen Randy Hall, Bernie Pock and Don Pulford. They tell us a little about the scene, the hot location the sets, the stunts, and the reshoot. The information adds a little to our understanding of the shoot, but the best parts of “Fire” come from the behind the scenes material. We get many fun looks at the actors while they work, and the moments in which they goof around seem particularly fun. You won’t learn a ton from “Fire”, but you’ll enjoy this intriguing glimpse behind the scene. Scoring Trek lasts eight minutes, 57 seconds and features composer Dennis McCarthy. He discusses how he creates the music for Trek, we an emphasis on Generations. McCarthy delivers good information in this tight piece. Of great interest to fans will be the four deleted scenes. These occupy a total of 33 minutes and eight seconds and include “Orbital Skydiving”, “Walking the Plank”, “Christmas with the Picards”, and an “Alternate Ending”. In a way, only “Skydiving” offers a true deleted scene, as “Plank” is an extended version of an existing bit and the other two offer original footage that was reworked and reshot. The clips are interesting to see, and I think “Skydiving” might have made a good addition, but I have no problem with the removal of the others. In addition to the scenes themselves, all the sequences other than “Plank” includes some comments about them. We hear mostly from executive producer Rick Berman but also get a little from production designer Herman Zimmerman, and actors William Shatner, Walter Koenig and James Doohan. Their notes help flesh out the scenes in question and let us know why they were redone or removed. The disc opens with some ads. 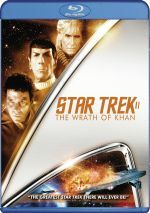 We get promos for Star Trek (2009) and various Trek movies/series on Blu-ray. In addition, we get both the teaser and theatrical trailers for Generations. Many others feel differently, but I really like Star Trek: Generations. It provides a thoughtful and lively tale that manifests greater depth than the average space opera. The Blu-ray offers very good picture and audio as well as an involving, detailed roster of supplements. This is the first truly satisfying home video release of Generations.